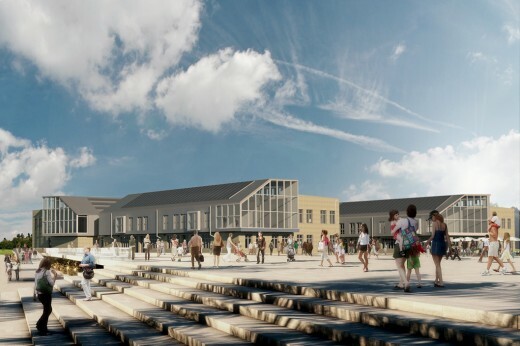 This design of the school was conceived and developed as a speculative proposal. 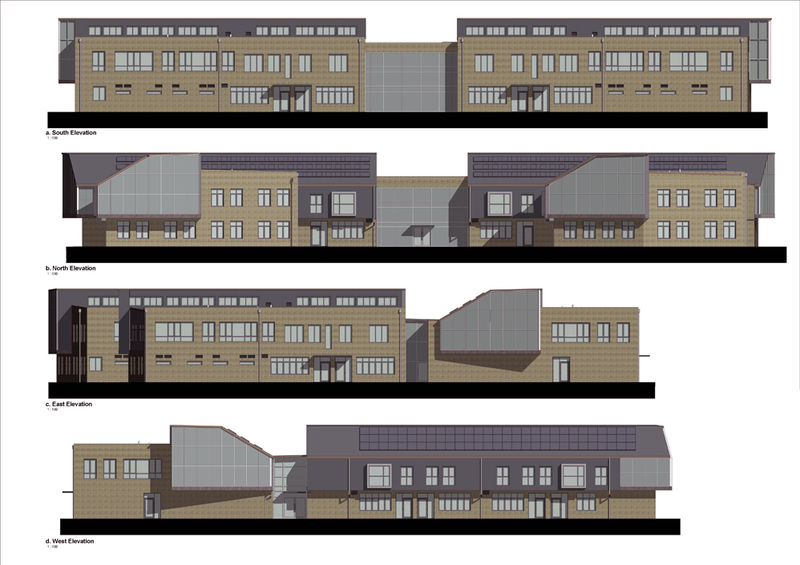 It is a representation of what the school could look like and how this school development has the potential to regenerate an area. 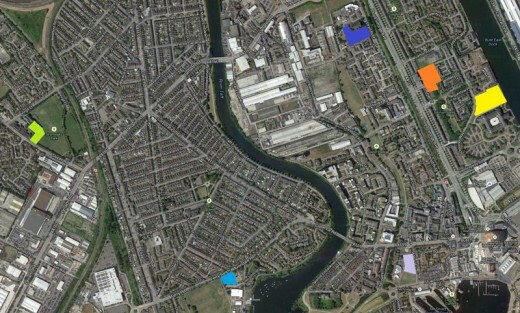 There are several sites earmarked for the location of the new Welsh medium school in Cardiff (see map above) – some of which are much more plausible than others. In my opinion the Channel View site on Ferry Road is the site which makes the most sense – not only in terms of amenity but also – due to what it can give back to the community in terms of regeneration. 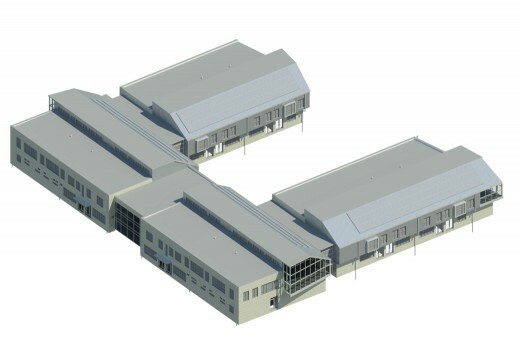 It can very comfortably accommodate a two-form entry school over two floors. 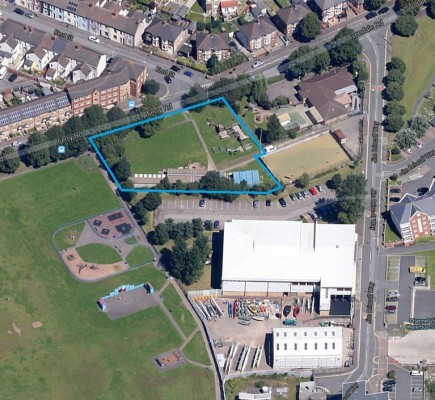 This seems to be quite a controversial site as many people want to save the outdoor activity/play centre and keep the leisure centre solely public. However, the outdoor activity centre is in a state which desperately needs attention and the leisure centre, as it stands, has high operational costs. A school being located here does not necessarily mean these local facilities would be lost. The school can exist, and even generate an income, by integrating these community facilities – integrated play and leisure facilities which are managed and maintained by the school. The school can act as a community resource, opening its facilities to local people, offering community education, opening the school facilities for community use, hosting adult education classes, making links with local businesses and so on. Schools are the most valuable resources in a community and they should be developed as a community resource. Whether it is a shared community facility and/or a community facility attached to the school. Regeneration must be about enhancing the life chances of young people, and education has to be the key for that. The school is a safe haven and provides an alternative to the community.